Queen City Gymnastics boasts countless records and the one QCG is most proud of is our record of longevity and consistency. In the 2011 season the QCG Girls Competitive Team had an impressive 47 Individual State Champions, as well as countless State Championship Team Titles throughout all levels over the years. Of course, just as important as individual champions and team titles are college scholarships and the number of scholarship athletes from the QC girls competitive team now totals over 40. Our coaching crew is unique in the gymnastics world. Selected for their genuine love of children as well as their technical expertise, you will not ﬁnd better coaches anywhere in any sport. Saying it another way, if you are concerned about the character of the people who mentor your children, QCG is the clear best choice for your kids. Athletes train in a 42,000 sqft (over one acre!) gymnastics training hall, the largest in the nation and perhaps the world. 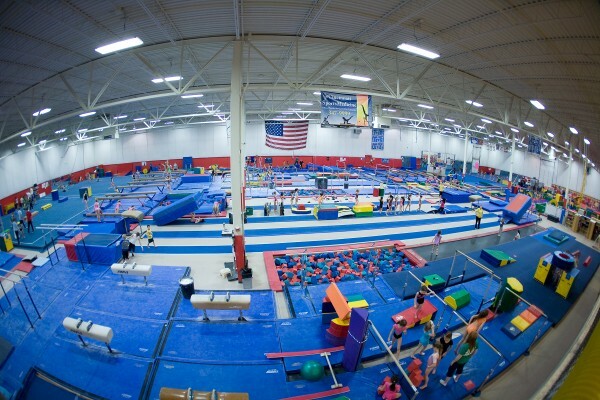 In addition to the apparatus and mats you can see, an effort to provide for your child’s safety goes far beyond what meets the eye and includes: six in-ground trampolines; 8 in-ground dismount pits; as well as 10,000 springs powering our 6-1/2 ﬂoor exercise ﬂoors! Ask any ‘veteran’ QCG Team parent who has had a chance to visit other USA gyms and they will conﬁrm, you will not ﬁnd a facility anywhere that even comes close to QCG!